There are many theories as to where or when Atlantis really existed, from the Mediterranean in ancient Greece, to the Inner Earth, to other planets, planes, or worlds. The most authorotative, however, is the Plato account of Atlantis, which puts it in the North Atlantic ocean(hence the ocean's name). The dates in Theosophy which place the beginnings of Atlantis in the hundreds of thousands of years appear to be exagerated. 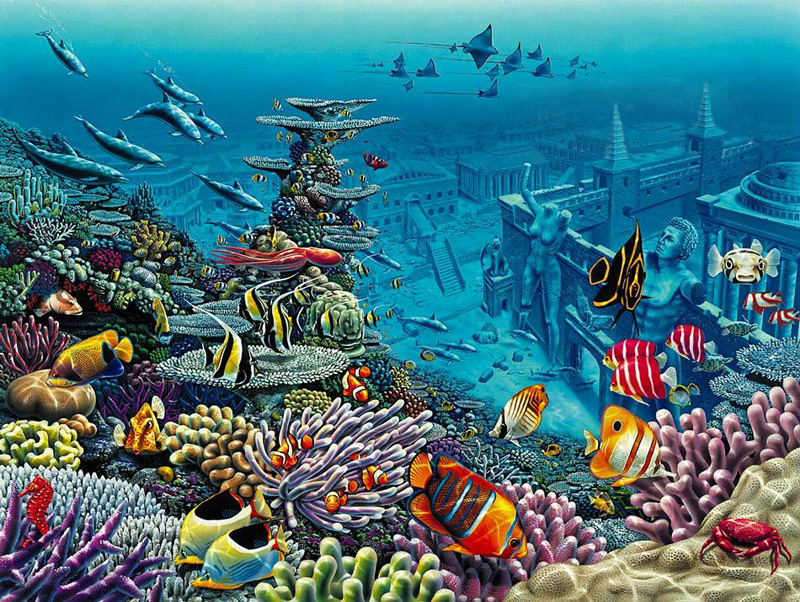 It is more likely that Atlantis had its beginnings between thirteen and twenty-six thousand years ago, and that it was destroyed in stages, the major destruction occuring around 8800 BC and the last one in 3100 BC or 1600 BC. Atlantis was much like America is today -a great superpower that was eventually corrupted and destroyed from within. It was "swallowed up" by the earth. Possible evidence for the submergence of Atlantis may be found along the Mid-Atlantic Ridge -a great fissure which runs all across the Atlantic floor.